Real estate coaching is totally changing the game for so many agents. These days, some very cost effective and time saving tech advances let agents and coaches connect remotely from anywhere they can get a good online connection. I guess if information was all we needed to improve, we’d all be billionaires with perfect abs, which is why I see coaching as the missing link. Coaching gets in deep to target the ‘action triggers’ that actually bring about change. A good real estate coach can breathe oxygen into a jaded career and inject motivation and inspiration into a new one. Often, it’s just a matter of tweaking something to turn things around. In other cases a general systems overhaul is required along with a priority reset. But before you jump in and make a coaching commitment, I’d like to suggest you undertake some due-diligence to safeguard and guarantee your professional coaching investment. Your future success depends on it! Here are 10 BIG questions that will quickly help you make the very best online real estate coaching decision. Does your coach offer a money back guarantee? Think about it; the ONLY reason a real estate coach wouldn’t offer a full, money-back-guarantee would be because they are not confident their coaching service and program can deliver results. Most coaches offer no guarantee of results or service. Why? Any great service today comes with some kind of warranty period. Why not real estate coaching? 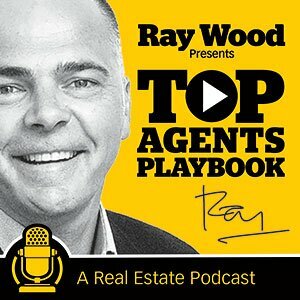 Does your real estate coach want to lock you into a long contract? Many real estate coaching and mentoring programs are for 6 or 12 months but I see no reason why you need to lock in for that long. If the coaching program is providing real value to the agent then they’ll be happy to stay without being ‘handcuffed’ to lengthy coaching agreements from which there is no escape. Did your real estate coach actually sell real estate? Would you take driving instruction from someone who has never driven a car? Would you take a golf lesson from someone who’s never swung a stick? I’m embarrassed to witness the number of real estate coaches that can only offer up a coaching course as their qualification. What can they really bring to the table? The true value a coach can offer is a wealth of career lessons learned from hundreds of different but critically important scenarios. There is no way someone who has never actually had a real estate career can provide this information, guidance and support. The reason there are so few really good agents is because it’s a very challenging career and way too hard for most people. Knowing what to say and when to say it is critical to success. For example, role-playing a great script can be a very important part of coaching and a coach is only going to know about that if they’ve perfected it in the real world. Also, make 100% sure you know exactly who will be coaching you. I hear some of the larger ‘agent mill’ coaching factories sign up new agents then allocate whoever is available. You need to be able to satisfy yourself that your online real estate coach can met these ten criteria. What do people they’ve coached say about them? The reason trip advisor has become so successful is because they are an independent ‘voice’ of opinion. I rarely book a hotel or restaurant these days without taking a look online and seeing what people are saying. If you’re about to make a financial investment in yourself by hiring a real estate coach, you want to make sure you stand a really good chance you’re getting excellent value. Time is your most precious resource so make sure it’s the best possible time investment. Do they have access to resources? The best agents use a range of resources that help them save time and streamline their working day, week and month. Before you hire an online real estate coach, make sure they are not only familiar with the resources and assets you need, but they can also help you acquire them. If you’re looking to build your brand and grow your business, you need a genuine understanding of the technology that will help you and be coached by someone who knows how to drive it. Believe me when I say that you’ll have enough challenges implementing the changes you need without struggling in the technology department. You need a real estate coach who is completely familiar with most of the tech required and can quickly help you with all basic questions. Do you get phone and email support? If you’re getting involved in any kind of 1 On 1 coaching, you need to know you can rely on full phone and email support. Many coaches won’t allow this but I don’t understand why. The agent is already paying for access to get the coach’s insight and opinion on important things. Extra phone and email support (where required) should be part of the package. When you get started with your coaching program, it’s good to know you have the option to access a recording of your online real estate coaching call so you can re-visit specific subjects. I’m sure most coaches offer this feature but it would be wise to check before you commit just to make sure. Does your coach offer an online private resource library or members lounge? If you sign up with a GOOD real estate coach, you can expect a lot of great ideas. It might be a video on advanced price reduction strategies or a template to help you build the ultimate listing presentation. Perhaps it’s simply a link to essential resources and tools that are going to help you grow your business. A good coach will give you exclusive access to their personal stash of resources at NO EXTRA COST so make sure you know what’s on offer before you commit.